Born in Hokkaido, Japan, Kawana received a B.S. in 1951 from Yokohama Municipal University. He earned an M.S. in political science and an M.F.A. in environmental design from the University of California, Los Angeles, in 1959 and 1964, respectively. In 1979, he received his Ph.D. in landscape architecture from Pacific Western University. A multi-talented artist, he was a garden designer, architect, writer, poet, and painter who displayed a deep sensitivity toward traditional Japanese design principles and aesthetics. 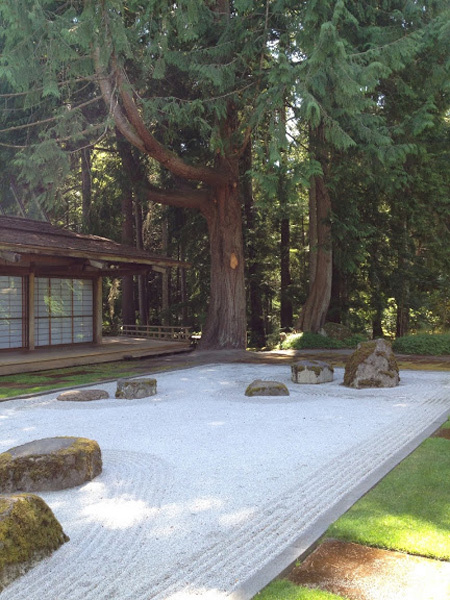 Pioneering the design of traditional Japanese gardens that used an area’s native plant materials, Kawana designed the Shofu-en at the Denver Botanic Gardens; the Japanese Pavilion garden at the Los Angeles County Museum of Art; and the Stone garden at Bloedel Reserve, Bainbridge Island, Washington, among others. 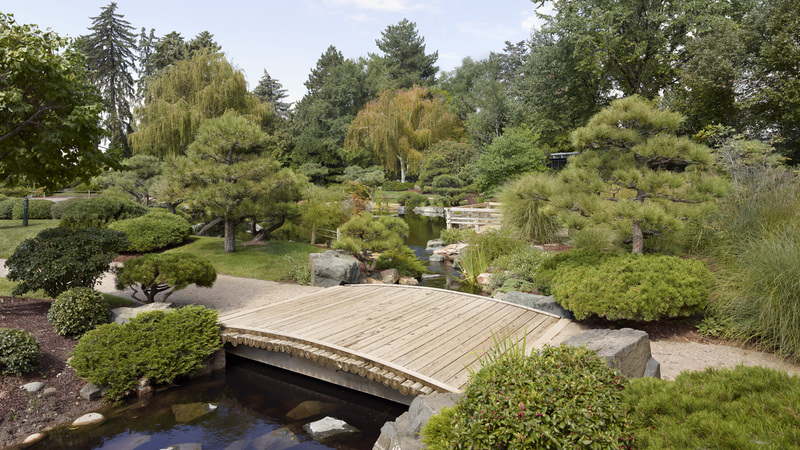 For more than twenty years he designed and oversaw construction of the 14-acre Seiwa-en or "garden of pure, clear harmony and peace," at the Missouri Botanical Garden, St. Louis. Kawana was also a professor and lecturer on Japanese landscape architecture, art, and design for over 24 years. Among other awards, he received the Victor M. Carter Diamond Award, the highest honor of the Japan America Society of Southern California, given to the person who has done the most to perpetuate friendship and understanding between the people of Japan and the United States. Born in Asahikawa, Hokkaido, Japan, Kawana received a B.S. in Economics from Yokohama Municipal University in 1951 before immigrating to the U.S. in 1952. He earned a B.S. and M.S. in Political Science from University of California Los Angeles in 1959 before his artistic instincts prevailed leading him to complete an M.F.A. 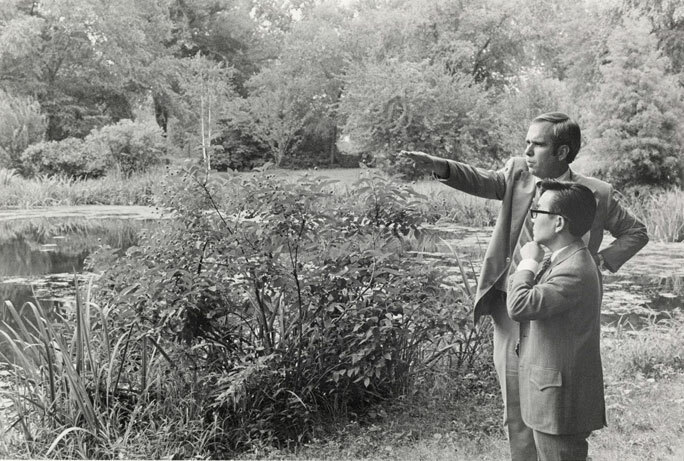 in Environmental Design at UCLA in 1964. 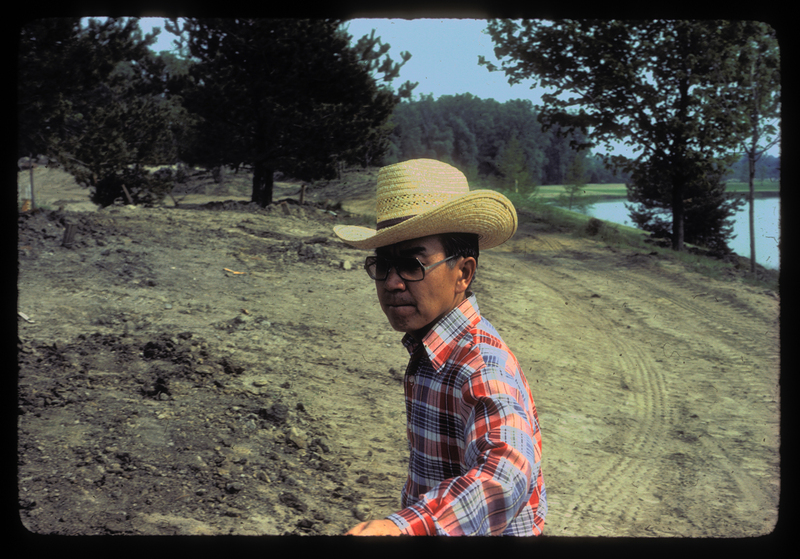 Kawana became a naturalized U.S. citizen in 1971 and later earned a Ph.D in Landscape Architecture from Pacific Western University in 1979. He maintained a long relationship with UCLA beginning in the 1950s as a student, continuing into the 1960s as a teaching fellow for the Art Department, and becoming a principal architect in 1963 with the University’s architecture and engineering office, a position he held until his retirement in 1989. 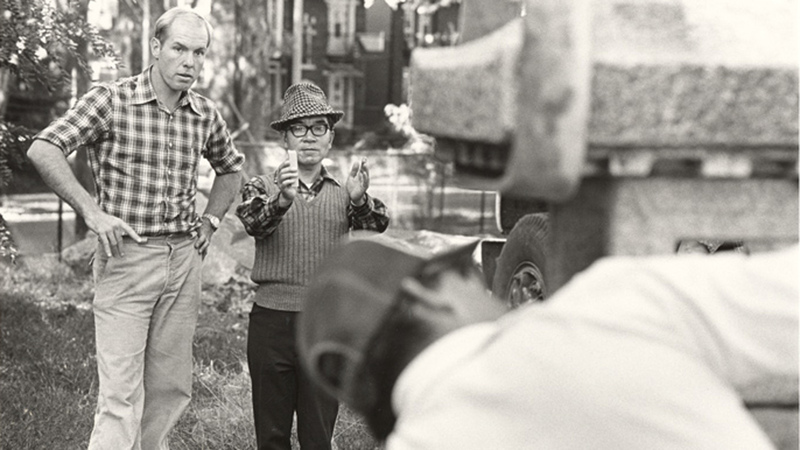 In addition to his role as a campus architect, he was a beloved professor, regularly teaching environmental design, Japanese art and culture, and landscape design courses through the UCLA extension campus. From a young age in Japan, Kawana studied calligraphy, painting, ikebana (floral design), poetry and traditional Japanese design principles and aesthetics. He was an accomplished, multi-talented artist and wove his training and interests into whatever he created. 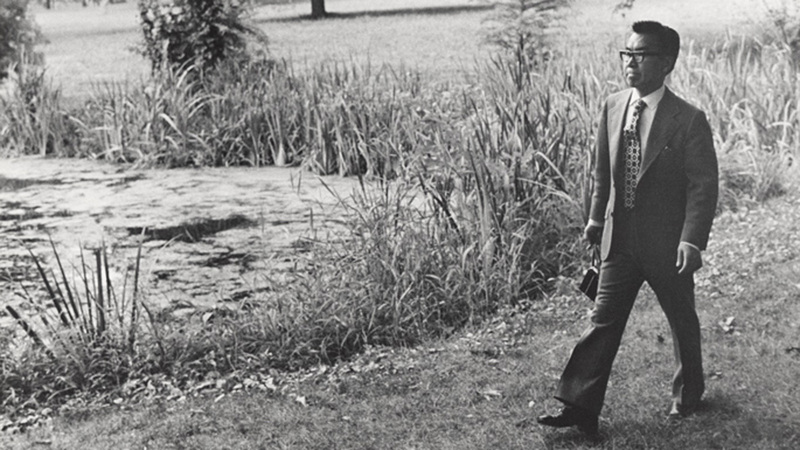 While engaged with his UCLA duties, such as reconstructing the Hannah Carter Japanese Garden after a devastating mudslide in 1969, he was also an active private practitioner, founding Environmental Design Associates, a Los Angeles-based design firm in 1966. 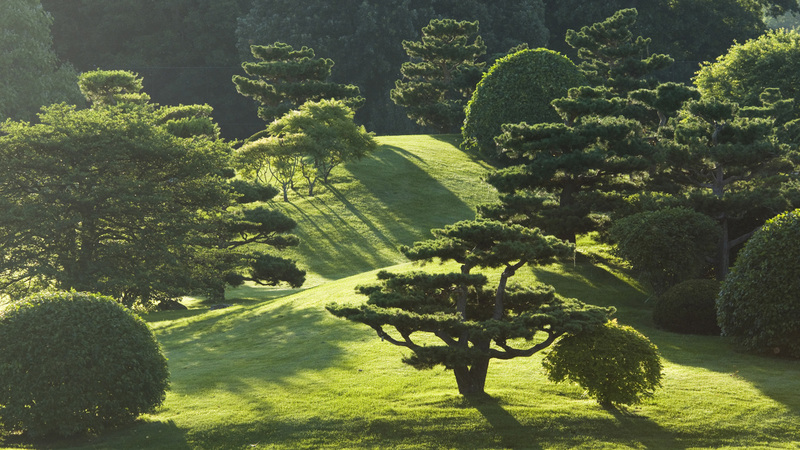 While the notion of Japanese garden design was not unfamiliar to the U.S., Kawana’s approach to regional identity within the garden was unusual. Strongly schooled in Japanese design principles, Kawana wrote that “no garden should be constructed in a foreign environment without being closely related to its surroundings. 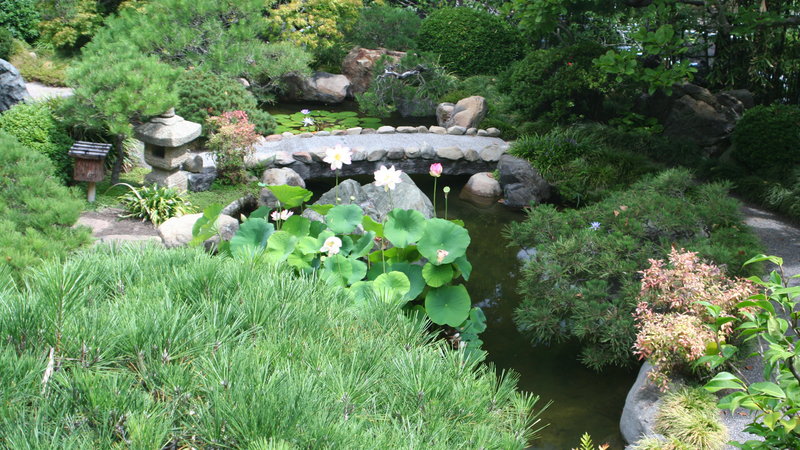 The degree of authenticity of a Japanese garden depends on the creativity and the statement of the designer, as the basic principles of such a garden are assimilated to the unique local environment.” He felt that since World War II, many Japanese gardens in the U.S. were an assemblage of features taken from books or copied from photographs of other gardens. 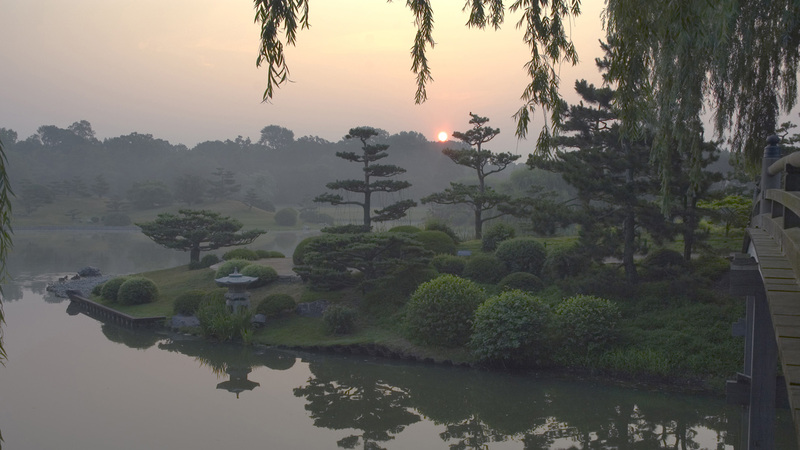 He avowed four concepts of Japanese garden design that can be seen throughout his many significant works—a closeness to nature; a suggestive rather than descriptive mode of communication; a preference for asymmetry in design; and lastly, a preference for simplicity. 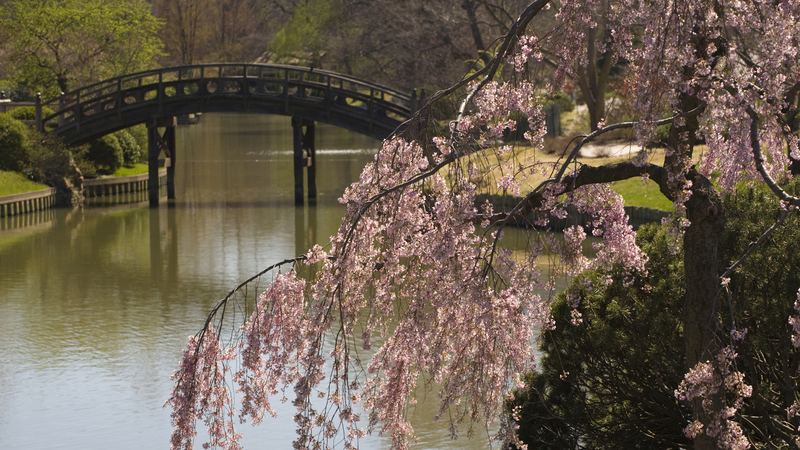 In 1973, Kawana began working on what would be one of his largest and most renowned works: Seiwa-En, a 14-acre Japanese garden, located in the Missouri Botanical Garden in St. Louis. Dedicated in 1977, Kawana used traditional design elements but also incorporated regional identity through stone and plant material in his design for the “wet-stroll” style garden or chisen-kaiyushiki. The main feature of a chisen garden is a lake or pond and at Seiwa-En, Kawana uses an irregularly-shaped four-acre lake so that the entire garden is never seen all at once. Designed as if the visitor is on a journey, the garden must be revealed piece by piece, with ever-opening vistas as one walks through the garden. Kawana typically worked closely with local horticulturalists, describing the effects he wanted from plant material and relying on recommendations for suitable plants in the regions in which he worked. Preferring a monochromatic green plant palette, he chose plants that would thrive in the local environment but would give the same beauty and effect as those used in Japanese gardens. He was equally passionate about choosing the perfect rocks for his gardens. Colleagues describe with delight his intense quests through the Midwest and other locales searching for the ideal specimens. 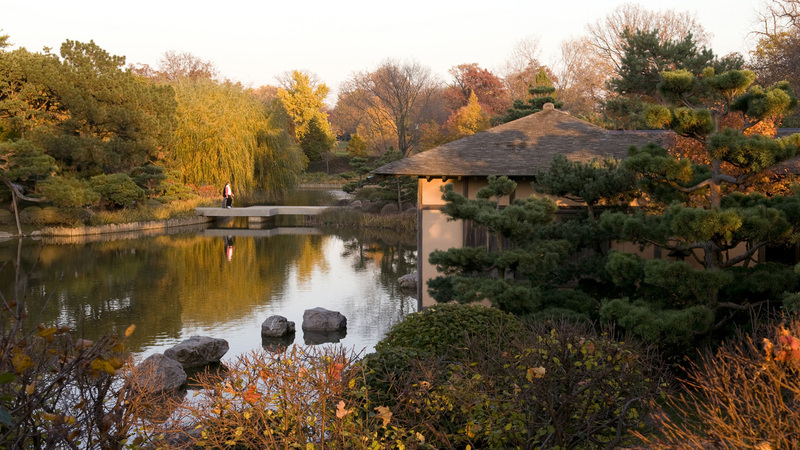 The 17-acre Sansho-En in the Chicago Botanic Garden, dedicated in 1982, demonstrates Kawana’s genius at weaving many historical styles and elements together. The garden features three islands that contain dry gardens, a moss garden, woodland gardens and a paradise island garden viewed only from a distance. Characteristic of Kawana’s desire for authenticity, a Shoin building (a 14th/15th century dwelling for a warrior or aristocratic), was constructed in Japan using traditional methods, and shipped to Chicago. Sansho-En demonstrates Kawana’s concern with borrowed scenery (shakkei). When designing the garden he used devices such as tree screens to ensure views in all directions were harmonious. 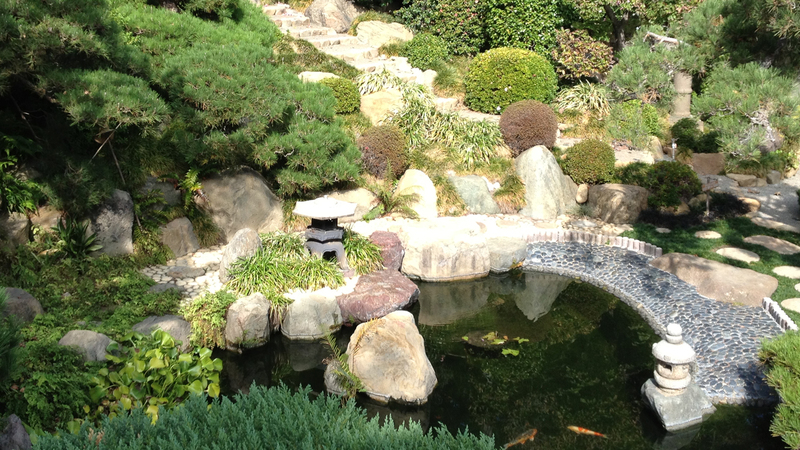 Suiho-En, Garden of Water and Fragrance, at the Donald C. Tillman Water Reclamation Plant in Van Nuys, California, incorporates three traditional styles of Japanese garden design: a karensansui or dry landscape garden; a wet garden with promenade chisen; and an authentic tea ceremony garden. 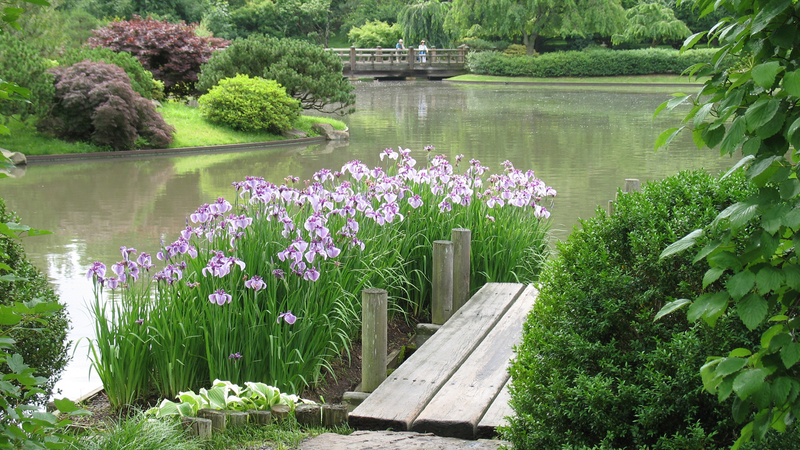 Kawana began designing the 6.5 acre garden which was dedicated in 1984 in the early 1970s. The garden demonstrates the innovative use of reclaimed water from the neighboring sewage treatment plant. Kawana conceived of his creations three-dimensionally and did not execute construction drawings. Instead he drew beautiful perspectives in brush, ink, wash and subtle grays to convey his concepts. He worked closely with the staff of his gardens, not only selecting plants, rocks, and other materials but also taking an active role during installation to ensure proper placement of the often large, heavy objects. Perhaps more importantly, he maintained relationships with staff well after installation to ensure proper care and understanding of the design intent. 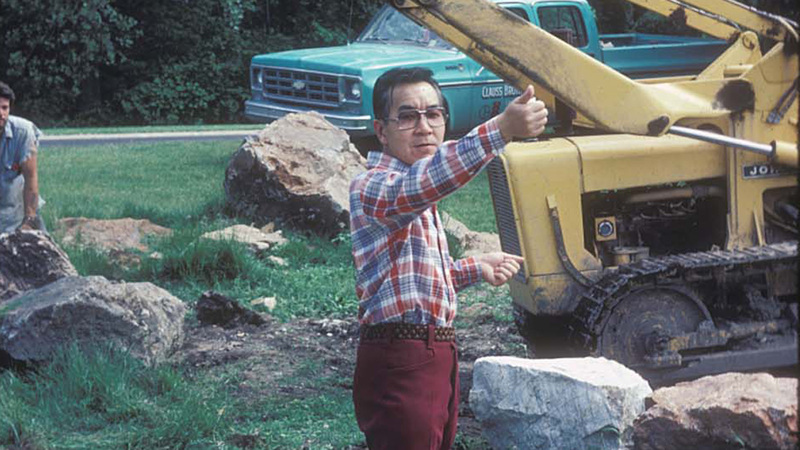 While working onsite at a garden, he would often give lectures, teach classes and meet with potential donors. A humble man, he graciously shared his wealth of knowledge with others. Kawana’s notable reputation resulted in other projects around the U.S., among them Shofu-en at Denver Botanic Garden; Seisui-Tei at the Minnesota Landscape Arboretum; the Stone Garden at the Bloedel Reserve; the Japanese Art Pavilion grounds at the Los Angeles County Museum of Art; and the redesigned Seijaku-En at the Memphis Botanic Garden. In 1980, Kawana received the Victor M. Carter Diamond Award, the highest honor of the Japan America Society of Southern California, given to the person who has done the most to perpetuate friendship and understanding between the people of Japan and the U.S. Among other awards he received the Medal of Merit of the Order of Saint Lazarus of Jerusalem; the Henry Shaw medal; and Los Angeles Mayor Bradley’s Certificate of Commendation for his development of “Suiho-En” at the Donald C. Tillman Water Reclamation Plant, where Kawana’s memorial service was held on September 24, 1991.